Lhakpa SherpaLhakpa Sherpa stands on the summit of Mount Everest in 2016. 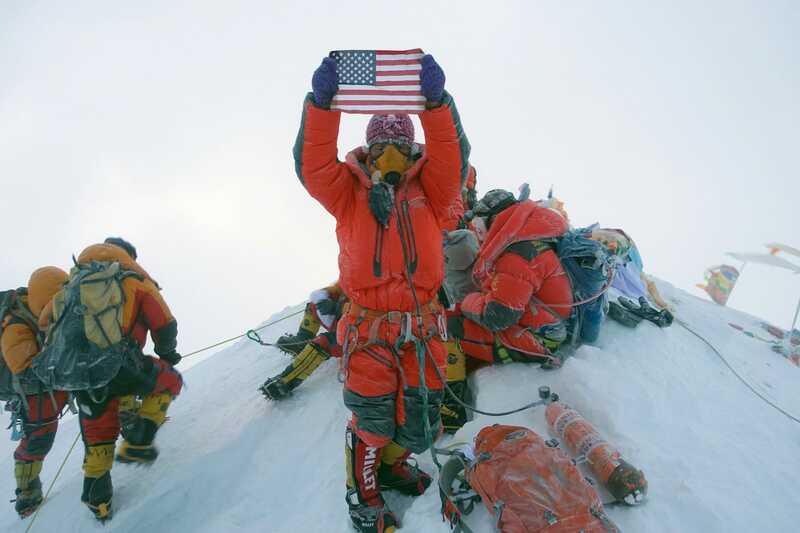 Almost 300 people are known to have died trying to reach the top of Mount Everest. Lhakpa Sherpa, who’s reached the summit a record-breaking nine times, described her latest climb to Business Insider. She said Everest climbers pass frozen bodies as they near the top of the mountain. Warning: this post contains graphic descriptions of those bodies, as well as a photo of one. Climbing Mount Everest, a rock that soars five and a half miles off the ground, takes a considerable amount of money and time, along with guts of steel. 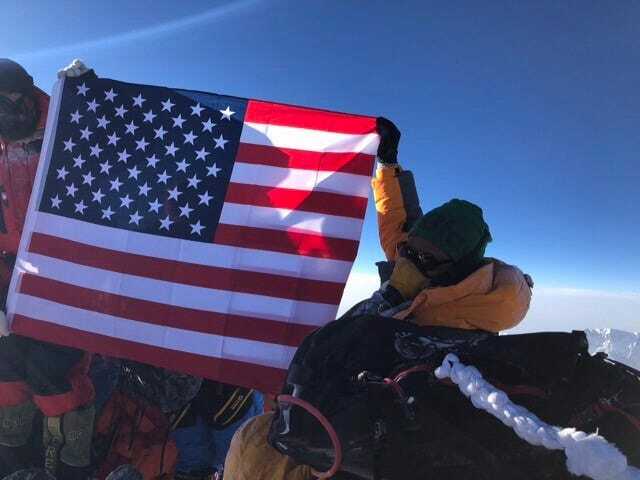 People who attempt to summit the mountain typically spend upwards of $US25,000 on the experience, buying $US850 oxygen tanks, securing $US11,000 permits (when climbing from Nepal), and hiring local guides called sherpas to help them carry gear and lead the way. Then hikers usually stay at Everest base camp for several weeks to acclimate to the thin air before they try to reach the 29,029-foot-high peak. Lhakpa Sherpa knows what it’s like on top of Everest better than few others on the planet – she has reached the summit of the world’s tallest mountain more times than any other woman. In 2018, she trudged her way up, clients in tow, for the ninth time, breaking her previous record. Sherpa told Business Insider that the day a group attempts to summit is by far the most difficult section of the trek. “We say [it’s] the dead zone,” she said, referring to the dangerous final 2,780-foot stretch of the climb. At that point, hikers are above 8,000 meters (26,250 feet) high. Lhakpa SherpaHikers climb Everest in the dark to reserve daylight for the climb down. The hard work begins after nightfall, around 10 p.m., when Sherpa and her clients begin climbing up that last stretch in the dark. Starting at night allows teams to reach the top by daybreak and see better when they climb back down. The trek to the summit takes about seven hours. Sherpa said she doesn’t eat any food or drink any water during that section of the climb, even though she’s pulling her body over rocks and breathing in thinner and thinner air. This record-breaking Everest climber has reached the summit nine times. She makes $US11.50 per hour washing dishes at Whole Foods. Here, people can suffer from an oxygen-starved delirium that some experts consider a form of high-altitude psychosis. Climbers have been known to do strange things like start shedding their clothes or talking to imaginary friends. “Their life is in our hands and we must protect them from their own insanity,” Sherpa said. All the while, climbers pass a morbid kind of mile marker: dead corpses of fallen hikers that littler the trail. The frozen bodies of people who’ve fallen prey to the mountain’s death zone serve as a grim reminder that even with ample preparation, experienced guides, and expensive gear, Everest is deadly. Sherpa, who’s been scaling the mountain regularly since 2000, said she saw seven bodiesduring the final stretch of her climb this year.One body was an especially eerie site. “He looked alive, because the wind was blowing his hair,” Sherpa said. Upon closer inspection, she realised his face was frozen and disfigured. According to the Himalayan Database, which was last updated in 2017, there have been 290 recorded deaths on Everest. The Himalayan Times reported that another six people died there in 2018, bringing the total to around 300. That’s a steep death rate for a feat that fewer than 5,000 people have ever attempted. Wikimedia Commons/Maxwelljo40A photo of ‘Green Boots,’ the climber who died on the Northeast Ridge of Everest in 1996. Many believe this is the body of Tsewang Paljor. Sherpa isn’t the only one who thinks about the bodies. 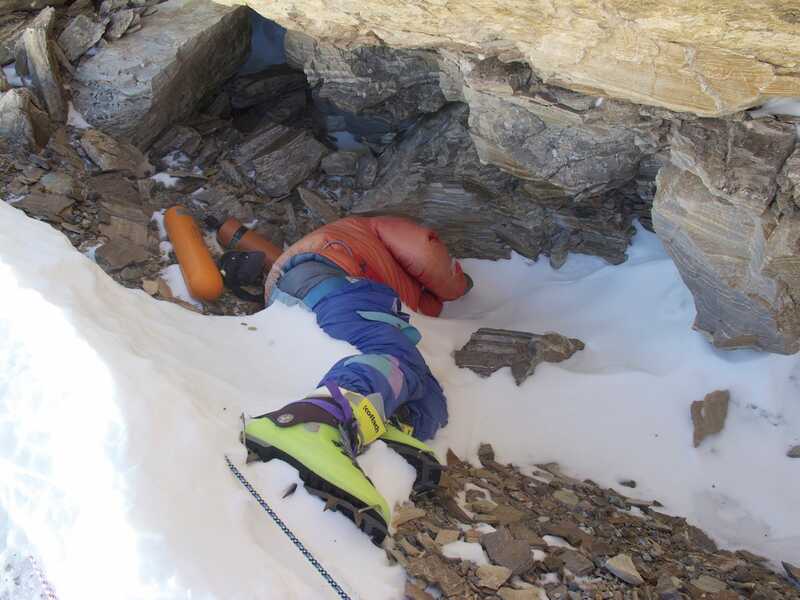 For years, Everest climbers have spoken of a dead man they called “Green Boots” who lay in a cave roughly 1,130 feet from the top. Many of these bodies have remained on Everest because hiking up to recover bodies at that altitude (or carrying people down) can also be a deadly chore. More than 200 permanently frozen corpses litter the mountain, according to an estimate from the BBC. The most cited cause of death on Everest is avalanches. In 2014, one such event killed 16 sherpas, putting Everest climbing on hold for that season. Other people have perished from the various health consequences of hiking at an altitude that’s usually reserved for aeroplanes. The air has so little oxygen that even with tanks, it can feel like “running on a treadmill and breathing through a straw,” American mountaineer and filmmaker David Breashears once said. Climbers can experience violent, rib-cracking coughs and dangerous swelling in the brain and lungs. Lhakpa SherpaLhakpa Sherpa atop Everest in 2018. 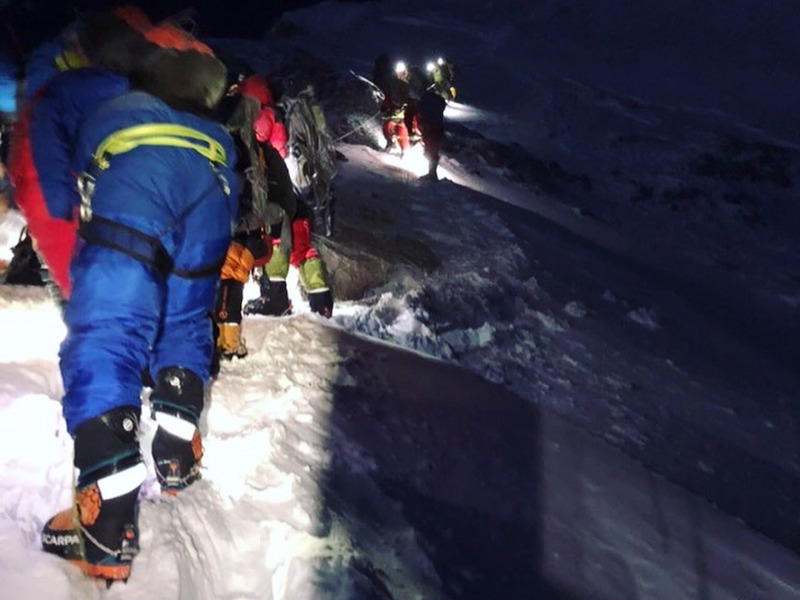 Despite the challenges that a lack of oxygen poses, hikers must climb fairly quickly to reach the summit around 5 a.m., as the timeline requires. Once at the top, Sherpa said, the feeling she gets is unmatched. Even though most climbers would like to linger a bit longer at the top, Sherpa knows they can only spend 20 minutes there – time to snap a few photos – before heading back down out of the death zone. The 2-mile trek back to the safety of base camp takes 12 hours.Sherpa’s teams usually reaches camp just as the sun sets, and she breathes easier than she has all day.